Are you searching for printing press business ideas that you can start of your own from home? Find here a list of top 10 latest digital printing business ideas for your ready reference. First of all, let us discuss what digital printing actually is? Basically, it prints graphical materials using digital printing equipment. Digital printers typically provide sophisticated prepress services, using scanners to input images and computers to manipulate and format the graphics images prior to printing. Basically, the digital printing industry has low barriers to entry. Initial start-up costs are low, though start-up costs can vary slightly depending on the desired scale of operations. New entrepreneurs must secure an operational facility suited to the scale of their operations. The list includes digital printers, computers with the necessary software to transfer image data to the digital printer, as well as ink and toners. Additionally, you must secure a facility in a location that offers a commercially viable client base to sustain healthy demand. For this reason, rent and utility costs could present a potential hurdle for new entrants depending on the desired scale of operations. However, as a low-cost model, you can start a home-based operation initially. Here in this list of digital printing business ideas, we have compiled opportunities that can be explored in any scale and investment capacity. Designer mugs have the popularity globally. Additionally, personalized mugs are considered as the great gift items. These mugs come as ceramic, plastic and metal also. However, the business demands a creative mind, design skills and some basic knowledge of digital printing. These days wallpaper is a potential alternative to wall paint. Additionally, people use wallpaper for home decoration also. And for interior decoration purpose, the demand for personalized wallpaper is increasing very fast. You can tie-up with interior designers and event management professional for promoting your business. Every business needs huge promotional items. The list includes letterhead, flyers, booklets, brochures etc. Therefore, the demand for these items is always there. Additionally, the items must come with quality printing and design. 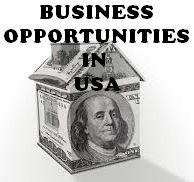 However, starting this business demands moderate capital investment in machinery, inventory, manpower, and promotion. Most of the product based companies offer shopping bags printed with company name, logo and address to the customers. And it is a multi-million dollar industry. Generally, these bags come with a wide range of designs, sizes, and color. Additionally, it comes in a variety of material like plastic, cloth, jute etc. Every business establishment needs a signboard. Additionally, people use different types of banners for different occasions. Furthermore, banners are considered as the great backdrop in both the domestic and official functions. You can start the business with a good quality digital printing machine and skilled manpower. However, the business demands moderate capital investment. This is another profitable low budget business in the printing industry. Stickers are very popular promotional tools globally. The business is very profitable. However, sticker printing business demands moderate capital investment. Additionally, you must have good networking skill for getting the long-term success in the business. If you are an absolute beginner in the digital printing industry, you can start visiting card or business card printing business. The business demands small startup capital investment. Additionally, you can start the operation at home with a small eCommerce site. Otherwise, you can operate the business from a retail location also. We hope this list of 10 best digital printing business ideas will definitely help you in making an informed decision in starting your own printing business.